For my wife's baby shower I wanted to create a piece that went along with the "ahoy it's a boy" theme. 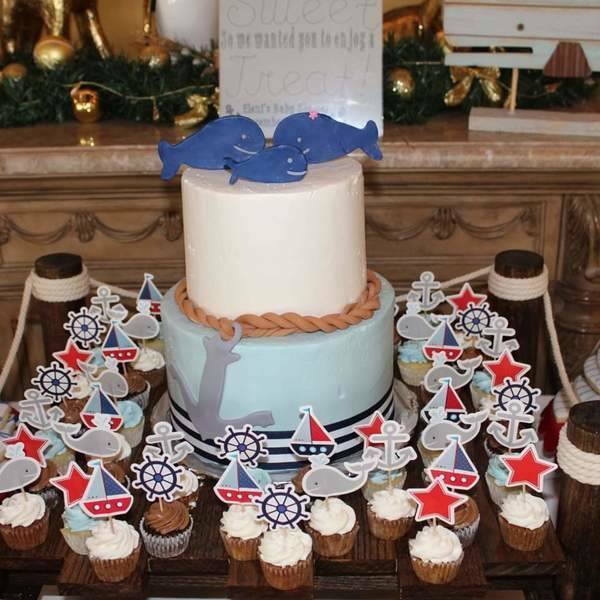 This mini dock cake stand was the perfect piece to hold a nautical themed cake! 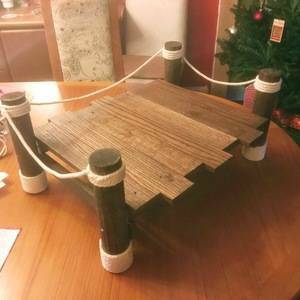 It only took a hand full of tools to get this simple project going, and before I knew it, the stand was complete.